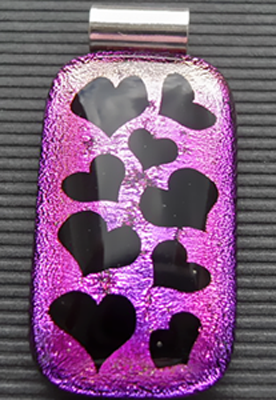 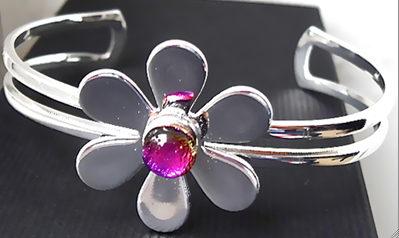 This is a very pretty Magenta Dichroic glass pendant with a small Black heart pattern. 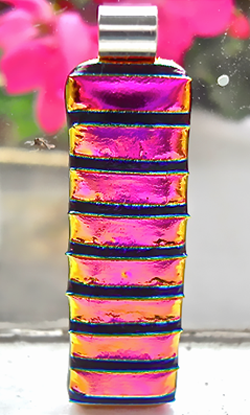 A pretty pendant with Magenta Dichroic glass overlaid with clear with Blue textured Dichroic glass, giving it a slightly 3D effect. 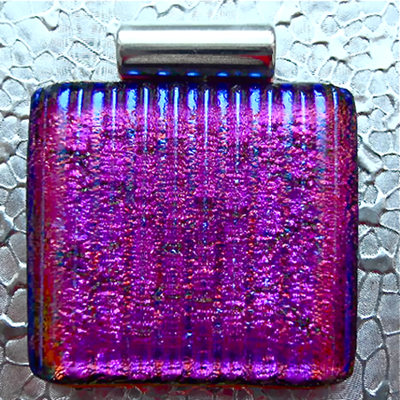 Large very vibrant pendant made from heavily textured Dichroic glass. 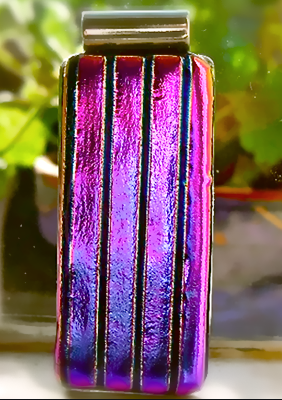 The dominant colour is Magenta, but the colours shift from this colour to Gold and Blue in the light. 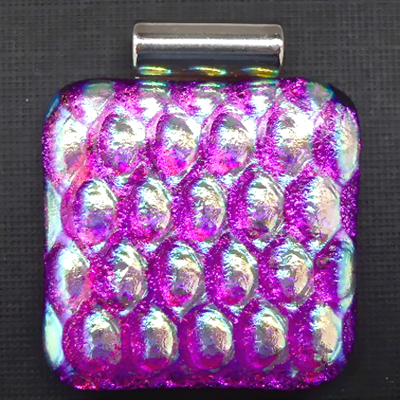 This pendant has a Magenta Dichroic glass base with a layer of heavily textured Gold patterned Dichroic glass on top. 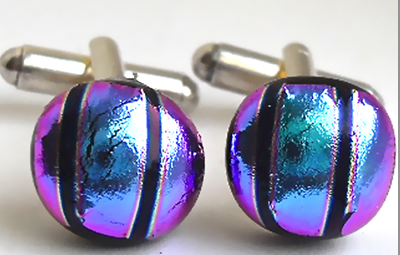 Very striking long narrow stud earrings. 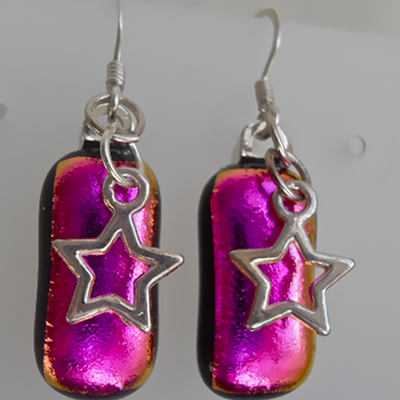 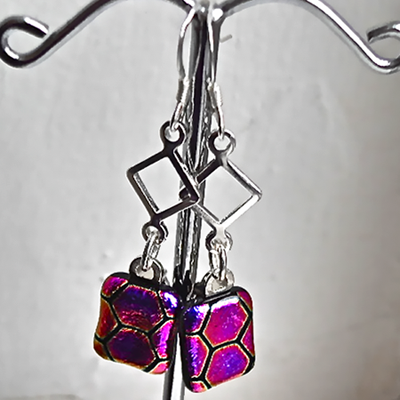 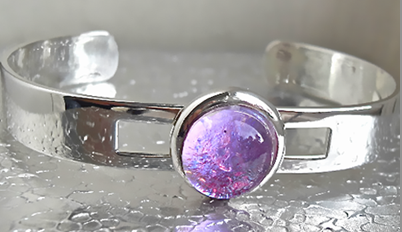 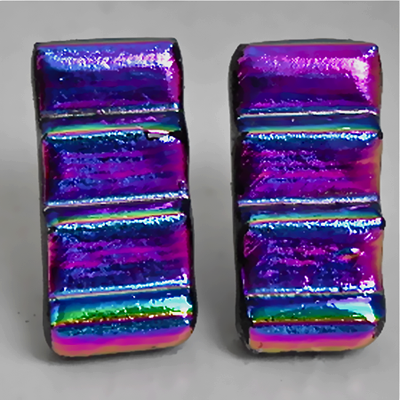 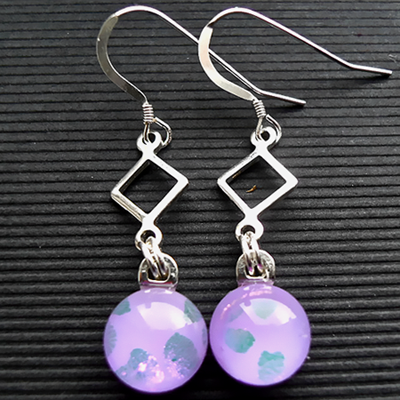 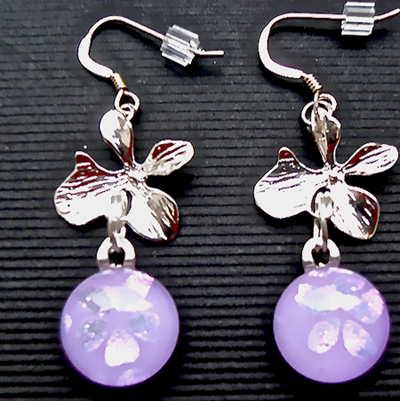 They're made from Magenta/Purple/Teal textured Dichroic glass. 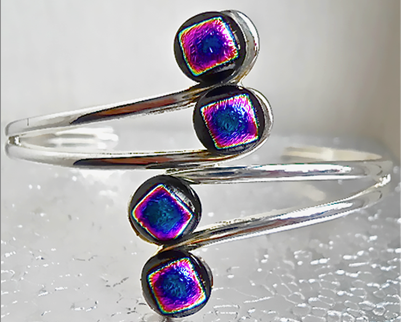 The colours shift across all three colours in the light. 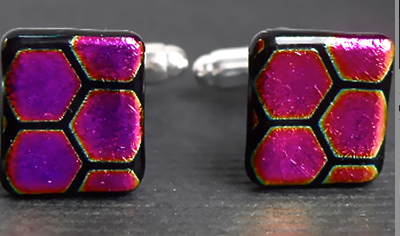 There's a matching pendant. 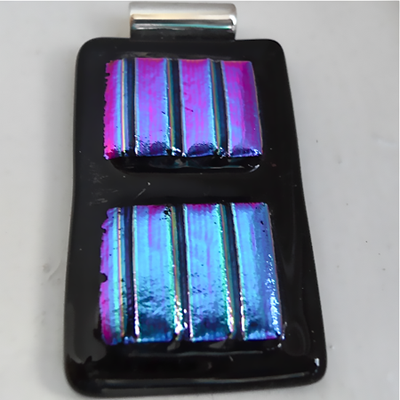 Very large pendant. 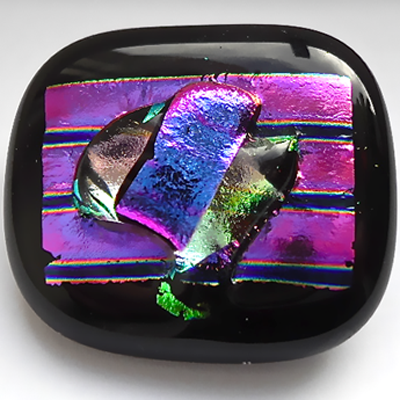 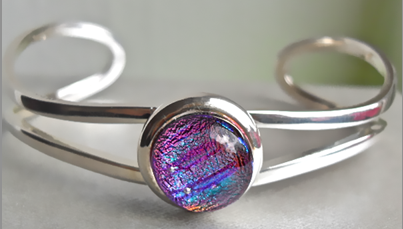 It has a Black background with two large pieces of Teal/Purple/Magenta striped textured Dichroic glass. 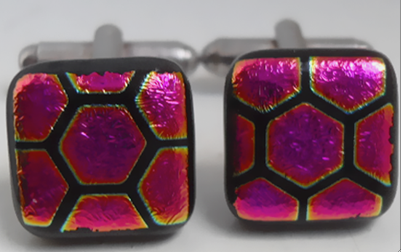 The colours shift across all the colours in the light.